I’ve actually seen this going around for quite a while and decided to finally give it a try since my TBR could really use some cleaning up! I recently saw Destiny @ Howling Libraries do this as well so I’m going off of her post for the rules and such! 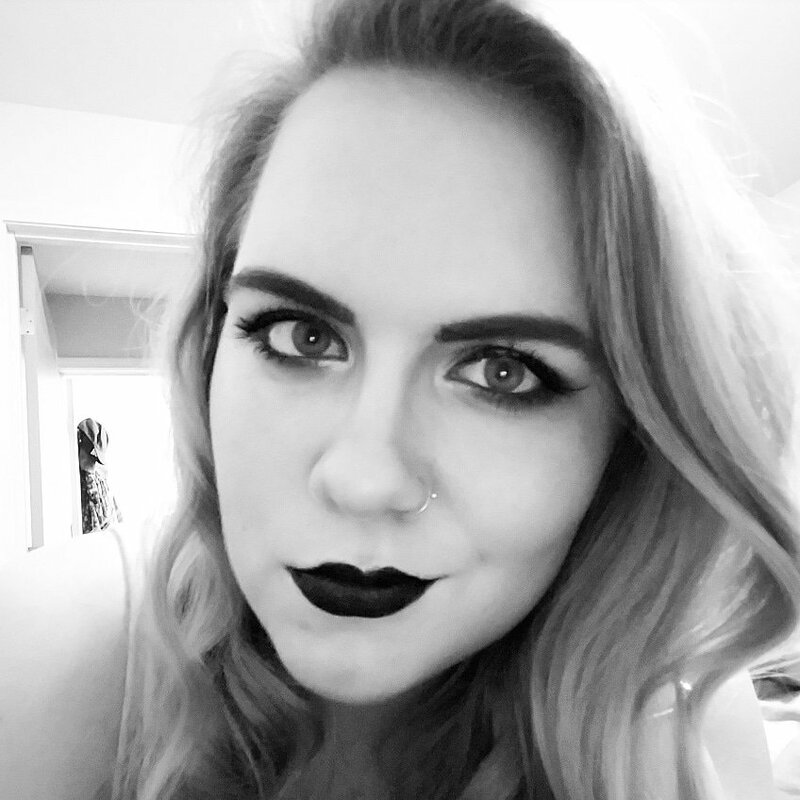 Be sure to head over and check out her post and blog too guys she’s an amazing blogger! I’m planning on doing one of these every week until I’m through my TBR so be on the look out for more posts! Hopefully I’ll be getting rid of some more here in the other posts. 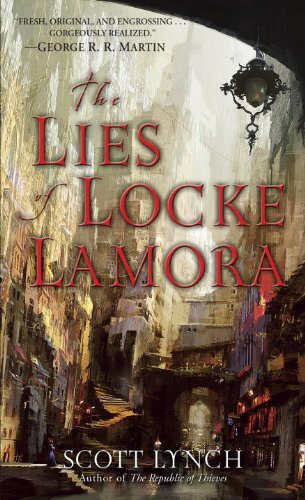 I’ve had this book on my TBR for a while and I’m a big lover of fantasy, the only problem is it takes me a while to finish long high fantasy books which is why this one is still on my TBR. However, I am hoping to eventually get to it because I lot of people like this one! This one is a little more debatable since I love Neil Gaiman’s books but I’m not 100% sure I’ll love this one. Either way I’m willing to find out eventually because Neil Gaiman is magic! This one is probably one that I’d get rid of since it’s really slow but I do own a copy so I kind of want to read it eventually. 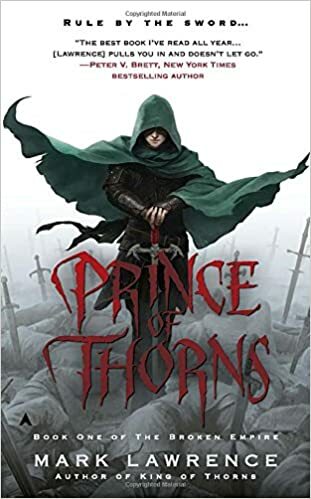 So I really, really loved Abercrombie’s other book “Half a King” and so of course I wanted to check out his other books and out of those other books this one sounds the most interesting. Another book I purchased a while ago, it’s about assassins and that’s kind of all I need to know! I read a sample before I bought it and it was pretty good! 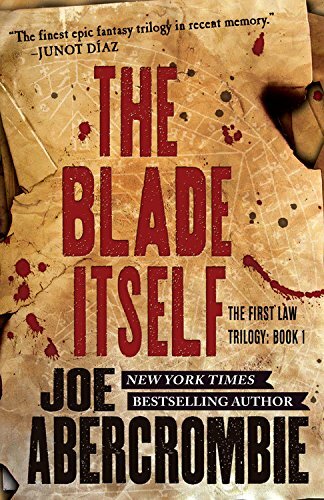 Let’s be honest the only reason I ever added this one is because I freaking loved the HBO show True Blood and I wanted to read the books once I found out it was based on books! I probably would get rid of this one but I already bought a copy and I do hope to eventually read it. So this one sounded interesting when I added it and it still kind of does but it’s nothing screaming my name and the reviews are all kind of meh. So this one can go! Bought a copy a while ago (see a trend here?) and while I’d normally get rid of it I do own it so I’d like to at least try reading it. Keeping! Definitely keeping! Sounds amazing and there’s plenty of great reviews for it as well! I know what you may be thinking! I haven’t read “The Great Gatsby” yet?! Nope, we (for some dumb reason) never read it for class when I was in high school which was unfortunate since it was a classic I WANTED to read. So here I am with a copy that I hope to eventually read so I may seem more worldly. So I know what you all may be thinking! I only got rid of ONE? ONE out of the ten books I featured? I know but I PROMISE you in future installments of this I will be getting rid of more than just one! It’s just that a lot of these are books I already own and therefore would like to read so I won’t have wasted my money on them! Feel free to go ahead and do a “Down the TBR Hole” yourself as well! Next Article (Over Due) Huge Book Haul! I would have been VERY UPSET if you’d gotten rid of either The Name of the Wind or Neverwhere. But you didn’t, so it’s okay. (Also, I just reread Gatsby in the audiobook form – read by Jake Gyllenhaal – and it was amazing. Highly recommend if you want to cross that one off your list.) Great post! I might have to start this. I’m glad I didn’t upset you! I wouldn’t have been able to get rid of those two even if I don’t think I’ll read them soon because I truly want to read them at some point. Also is it strange that I really want to listen to the audiobook for Gatsby now just because it’s Jake Gyllenhaal? I feel like he’d have a nice voice to listen to. I may have to do that now…..
Definitely not strange. I think that’s the main reason I listened to the audiobook in the first place. It was so nice and calming. Hope you enjoy! 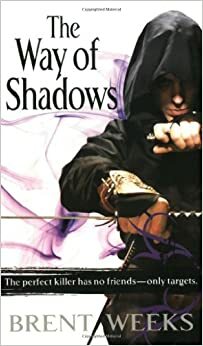 I can attest to the awesomeness of the Way of Shadows trilogy. Brent Weeks is such a great author! Yeah, it’s a pretty dense trilogy due to Week’s writing style. But it’s soooo good! I can’t wait for you to read it! 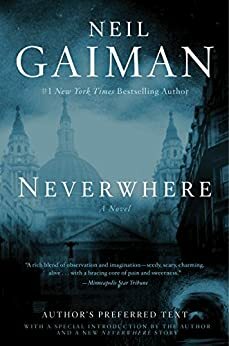 Neverwhere is good and certainly worth reading with tempered expectations. I don’t think it’s his best novel, but it’s a lot of fun. Getting rid of one is better than none…a journey of a thousand miles starts with a single step and all that! I love looking at these posts and seeing how people reach their decisions. Why is it so difficult for us to get rid of books from our wishlist? Thank you, that makes me feel a lot better about it haha! I think these posts are a lot of fun for that same reason as well! It’s hard for me to get rid of books and I don’t really know why but I think it’s harder if I own a copy because then I feel like I “wasted my money”. I read Way of Shadows earlier this year n it was awesome! So yes, definitely keep it. I also just started watching True Blood, (6 epiosdes in) & I know I’m going to love it, but it hasn’t hit me yet. 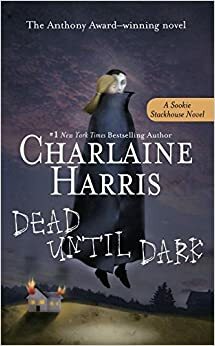 I have no desire to read the books as I’m sure it’ll be in Sookie’s pov and I’m having a hard time liking her character! Well I’m glad it isn’t just me who hasn’t read The Great Gatsby! I want to get to it eventually here so I decided to keep it…..plus I own it and I don’t want to waste my money, haha! That seems like a good idea! If I owned it I think I’d read it, since I don’t I have no idea if I ever will! That’s how I feel about! I want to read it but what I did read from it was pretty slow so I don’t know how reading it is going to go for me! That’s great to hear about the Night Angel trilogy, I really haven’t heard anything bad about it so that makes me excited to get to it! It just sounds so badass! 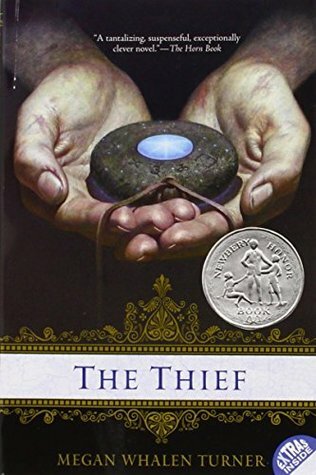 I’ve also heard the Thief series gets a lot better so that’s why I’m hoping to get into it eventually! This is such a good idea especially for goodreads TBR’s which I feel get so big so quickly. I’ve made a list of the books I own which I haven’t read yet and I’ve been trying to mark some of them off. It’s so hard when new releases which look amazing come out but your trying to force yourself to read other ones. Ah the never ending cycle! I have to admit I have got rid of a few books which I own which I no longer have any interest in reading but they were linked to university last year and like classics. I know I won’t pick them up so I gave them my sister, they didn’t go far… Did I technically even get rid of them? haha! 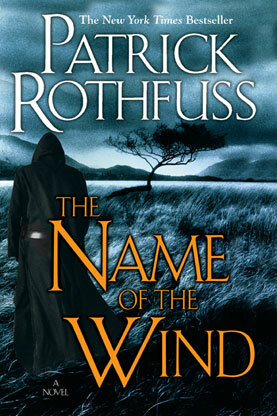 The Name of the Wind has been on my TBR for ages as well. It’s going to stay there for a while, because I really want to read it but I’m waiting for the third book to be released. I have no wish to get into the series and then wait ages for the final book to come out! That’s probably a smart idea waiting for the trilogy to get finished, but if Patrick Rothfuss is anything like George R.R. Martin we may be waiting a long time! Oh my goodness, amazing post haha! Okay, first of all, THANK YOU for also being terrible at removing books from your TBR. 😂😂 Second, I’m so glad you kept some of these, like Name of the Wind, and The Thief, because those are super high on my TBR! Third, I’ve only seen the first few seasons of True Blood and read the first book and a half of the series, but I really want to restart it. I remember loving the first book and flying through it. Be forewarned, though, the show is tooootally different! Thank you Destiny! I am sorry for tagging you so late but for some reason I didn’t add your link when I posted this and I thought I had! When I read through your Down the TBR Hole #1 I saw all the books and pretty much all of them had me going “SHE BETTER NOT BE TAKING THOSE OFF!” and I saw you didn’t remove any so I was relived, haha! Bahaha I love the idea of you sitting there being like, KEEP IT DAMMIT! KEEP IT! I just did this weekend's post and I removed half of them. Are you as shocked as I am? 😂😂 Hopefully none of the ones I removed are favorites of yours, lol! Yes, for sure! My mom has read the whole series and she told me the show completely deviates from the series once it hits book 3 or so. I am honestly so behind on reading posts, I’m terrible but definitely going over to read your latest Down the TBR Hole now! Pingback: Down the TBR Hole #1 – Literary Me! Pingback: Down the TBR hole #3 – Literary Me! I desperately need to give this a go. My TBR on Goodreads is completely out of control!